Createspace Independent Publishing Platform, 9781720899327, 114pp. 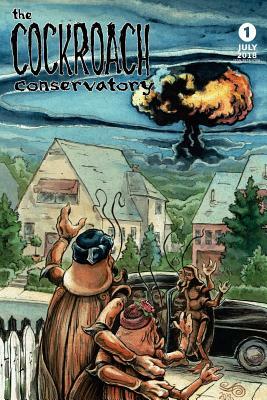 The Cockroach Conservatory, Vol. 1: The Working Zealot's Guide to Gaining Capital in Pre-Apocalyptic America is Lord Commander Patagonia's and FearBot3000's opening volley in the war to conquer Earth through weird fiction, art, and poetry. Bow to the glory that is the infallible Lord Commander and his perfect instrument of perfect judgement, FearBot3000.